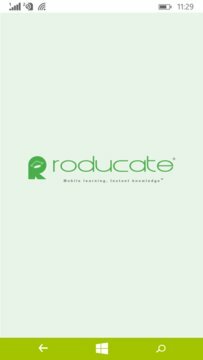 RODUCATE is an application developed by Robert and John Limited to bring education to every Nigerian and African from Key Stage One (Primary School), Secondary School (High School) to the last day of Higher Institution education through a digital platform. It is the ultimate academic and non academic application, designed specifically to enable students access their school academic curriculum and associated content on-the-go. 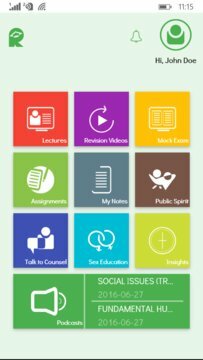 The Roducate 1.0 version includes access to West African and British syllabus, lecture notes, revision videos, school assignments, podcasts, Insight, real-time scholarship exams, real time test practice, etc all on-the-go. Roducate reaches beyond academics with additional offerings such as: Real-time Counseling, Public Spirit Education, Networking/chat etc. To enhance the functionality of the application and derive maximum benefit of the available features, we recently developed a Period Electronic Scholarship Exam System. This is a sponsored feature of the application that gives every student a chance for further education in Nigeria and greater Africa by scheduling periodic tests held concurrently across the Federation. It is cross-platform in nature, which means that it can run on different modern mobile operating systems.